A lot of the things you do at home to reduce stress will also help reduce stress in the workplace. The key is to maintain a healthy work-life balance. Below are some things you can put in place to help reduce stress. Working long hours – This is where flexible working comes to the rescue! Once you recognise the main triggers of your stress, you can start identifying how you can make the situation better. Even something as simple as taking up yoga or meditation can make a huge difference to your mind-set. Remember that sometimes the stress can come from the inside. We can stress ourselves out by overthinking/worrying about things. Flexible working is one of the most useful tools in helping workers achieve a healthy work-life balance. It can allow employees the ability to adapt their ways of working to best suit their needs, while still being fully committed to their careers. Mercer carried out a survey on over 1,500 employees across UK and Ireland, which showed that 52% of workers are very concerned about maintaining a healthy lifestyle while holding down a job. Flexible working arrangements can help reduce stress as employees working flexibly are more satisfied with their job and lives, and they experience better work-life balance. Regular exercise can be a powerful stress reliever. It is recommended to do at least 30 minutes of exercise daily. Join a gym, take up yoga, play a sport. Check if your company offers a gym membership discount. Get out of the office during your break, even a small walk can make a huge difference. Use flexible working to get a work out/stroll in before, during or after work. Food choices can have a huge impact on how you feel during the day. Eating small, frequent and healthy meals can help your body maintain an even level of blood sugar, keeping your energy and focus up, and avoiding mood swings. Low blood sugar, on the other hand, can make you feel anxious and irritable, while eating too much can make you lethargic. Bring your own lunch and snacks to work. This will eliminate the temptation to buy sugary and fast foods. Try and prepare lunches/dinners in advance and freeze them so it saves time and eliminates doing it after a long day at work. Reduce your intake of foods that can adversely affect your mood, such as caffeine, alcohol and trans fats. Eat more Omega-3 fatty acids to give your mood a boost. The best sources are fatty fish (salmon, herring, mackerel, anchovies, and sardines), flaxseed and walnuts. Not only can we benefit your company but we can benefit your employees too. Take Flexible Working, it can lead to a healthy work-life balance along with improved job satisfaction, increased energy, better staff morale and reduced levels of stress. Having the right work-life balance is increasingly important with more and more people finding that their working day is getting longer as businesses struggle to keep up with the demand for 24 hour services. 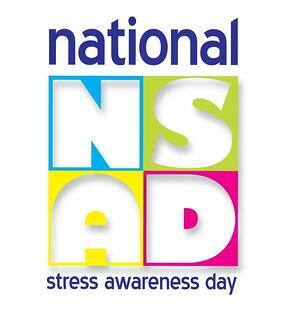 The best way to celebrate Stress Awareness Day is to take the opportunity to remove the stress from your life for the day. Take the time to examine your life and find out where all the stressors lie, and start looking into taking steps to remove them or find ways to at least minimise them. Starting to reduce the stress in your life is the hardest part but once you’ve identified the triggers, you’re half way there. Often, the best way to cope with stress is to find a way to change the circumstances that are causing it. It’s National Flex Day and Family & Work Life Month! When you think of October, you probably think of falling leaves and Halloween. 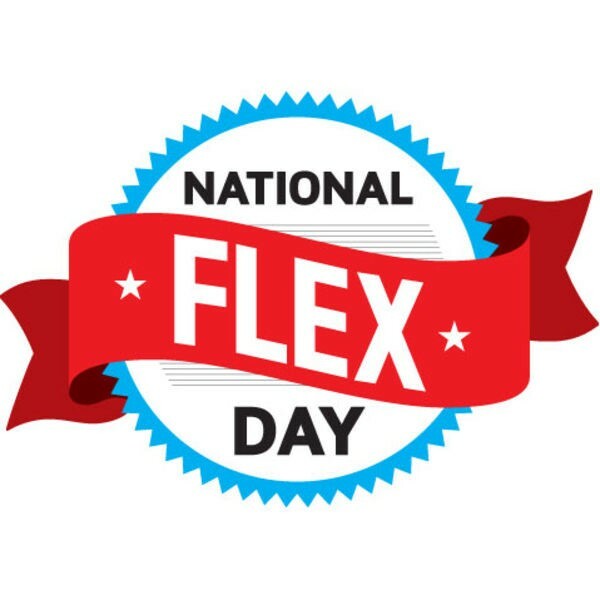 But did you know that today is National Flex Day? Held the third Tuesday of October, National Flex Day is designed to encourage employers and employees to unite behind the need for more flexibility by sharing how pervasive and powerful it already is. Today is a great opportunity to reflect on all the ways that flexible working is important and how it can benefit your employees and organisation. Last year, they surveyed men to find out what work schedule flex means to them, and the results showed that most of them have flex (77%) and feel comfortable using it. Are you aware that October is also National Work and Family Month (NWFM)? It is an education campaign led by the Alliance for work-life progress, to raise awareness among employers about the value of work-life effectiveness as a business imperative. This campaign is supported by President Obama, who released a statement acknowledging the difficulty of juggling work and family responsibilities. He encourages employers to implement practices such as "telework, paid leave, and alternative work schedules." This annual celebration is designed to communicate and celebrate the progress towards creating healthier and more flexible work environments. The main goal of the campaign is to remind employers about the benefits of supporting work-life balance and effectiveness programs. Manage stress - Take up yoga/pilates, eat healthier & relax! By taking these tips in to account, we hope you will be able to find a healthy work-life balance in your workplace. October gives us lots to celebrate with National Flex Day and National Work & Family Month. It is a time to recognise all the organisations who want to make life easier for employees to succeed at work and at home by helping them gain a healthy work-life balance. If you do not currently offer your employees flexitime, contact us today for a free demo, you’d be amazed at the differences it could make to your employees work, mood and lives! Feel free to check out the rest of our blogs which cover flexible working and work-life balance. Don't Let the Bus Strike Put You Out! The nightmare of a transport strike is upon us again, coming into action when everything is getting back to normal after the summer holidays. 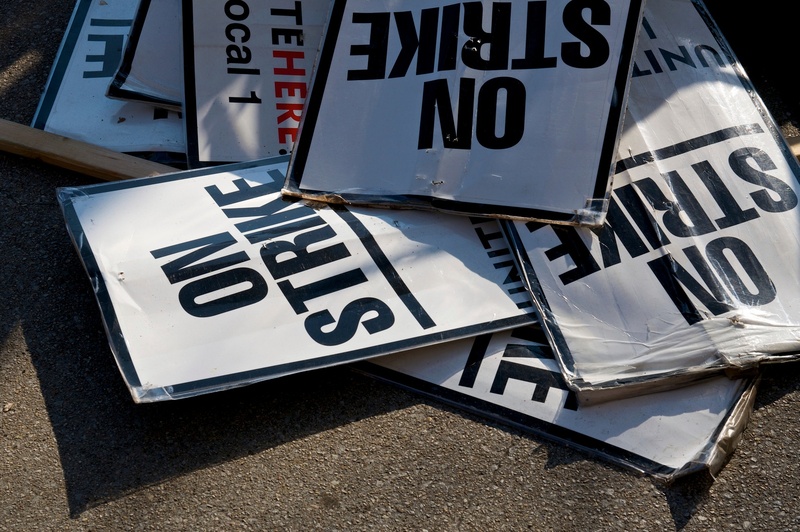 Staff at Dublin Bus have staged strikes as part of a campaign for higher pay. Around 400,000 people use Dublin Bus each day and Dublin retailers claim sales have plummeted by as much as 60% due to the strike action. Everyone will be leaving earlier in the mornings to make it into the office for 9am and without the use of bus lanes, extra volumes of traffic are expected to build up, causing even more delays with extremely heavy traffic on all routes in and out of Dublin City. I am extremely lucky as my commute from Dublin to our HQ in Bray, Wicklow is made without any stress during the strikes as here at Softworks, we have flexible working. One of the main implications that can arise from a bus strike is the fact that employees who rely on Dublin Bus for their commute, could be late for work due to the fact that they will not have access to public transport. In addition, those who commute by car, will be disrupted by an increase of traffic volumes. If you will find it difficult to get to work on time during the days of the strike and it is an option in your workplace, work from home. This will not only save you extra travel time but also costs if you are relying on expensive means such as taxis to get to and from work. It will also reduce the level of stress caused by rushing to make it into the office on time. If flexible working is not an option, employees should be encouraged to cycle to work these days. It would be worthwhile to inquire about a Bike to Work scheme. You could also make use of Dublin Bikes. You can get a three-day ticket for €5, and it is only €20 for an annual subscription and the first half hour of every journey is free. Carpooling is another option as the less cars on the road the better. Not only will carpooling save you money, it will help reduce your carbon footprint along with stress. It will also reduce traffic congestion which I am sure everyone will be thankful for. If your company already offers flexible working then you are one of the lucky ones as your commute to and from work during this strike will be a lot less stressful. Instead of leaving earlier than usual and being stuck in traffic, you could head in to the office for 8am and leave at 4:30pm, before rush hour comes into effect. You could also go in to work for 10am and finish up at 6:30pm, also beating all of the traffic. So, if you are lucky enough to have flexible working, make the most of it, especially with the bus strikes in place. Remember, there are a lot of people who would love to get into work early and leave before the rush hour traffic builds up but unfortunately, they don’t have the choice. You can also download our free white paper: How to Strategically Use Flexible Working Arrangements to Benefit your Business. Without a plan a goal is just a dream. Turn your ideas, dreams and desires into reality with a well thought out plan. If you want to get fit, eat healthier and go for walks or to the gym. If you want to learn how to do something new, take classes/lessons. If you want to get something done in work, start by making a list of what needs to be done and follow it through. Once you start, the rest will fall into place more easily. Go to the gym in the morning, on your lunch break or after work. With flexible working, it is much easier to get things done before, during and after work. Check if your company provides discounts for gym memberships. Bring your own lunch to work, along with fruit/healthy snacks to stop you from eating unhealthy food throughout the day. You can find out more health tips from our blog: A Healthy Workplace is a Happy Workplace. Do you have a hard time finding time for yourself? If so, try scheduling it. Pencil in time for yourself just like you would an appointment, then stick to your “date” for an entire month. This could be anything from fitting in a walk on your lunch break to reading a book. You might not think that 20 minutes is very long, but it will make a difference. 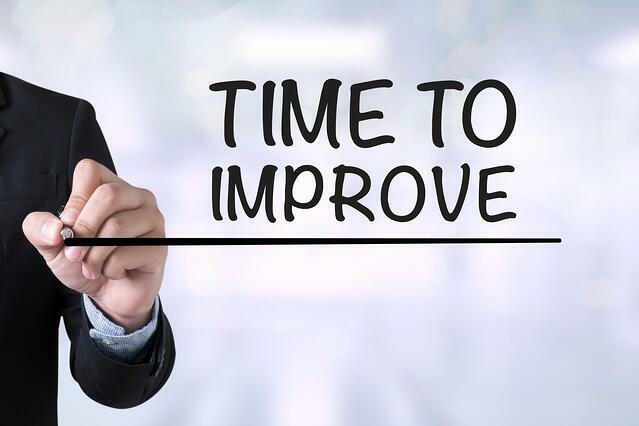 The steps for self improvement revolve around our health, getting organised, setting goals in the workplace and overall, improving ourselves for the better. But what about our businesses? It might be time to start thinking about how you can improve your business with the help from Softworks. Constant and continuous improvement is essential for both our personal and professional growth. Not only can Softworks benefit your company, it can also benefit you and your employees. Take Flexible Working, it can lead to a healthy work-life balance along with improved job satisfaction, increased energy, better staff morale and reduced levels of stress. Having the right work-life balance is increasingly important these days with more and more people finding that their working day is getting longer as businesses struggle to keep up with the demand for 24 hour services. Come check out our website to see how Softworks can improve your business today! If you do one thing each day you will surely notice a snowball effect, and before you know it your Self-Improvement Month goals have become your daily life experience. It's Wednesday, and we all know what that means. While you might have breezed through Monday and Tuesday, somehow Wednesday just seems to be the day that goes by a little slower. Over the last few years, Wednesday has been rebranded as "Hump Day". 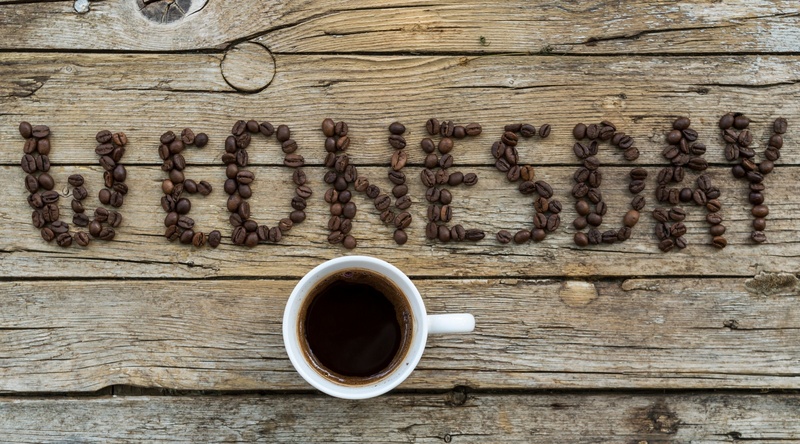 We can all relate to "Hump Day Wednesdays" as it seems to be the general consensus that come this midweek point, we all could use a pick me up. Typically on Mondays, we make a mental list of to-dos for the week ahead. As the week progresses, we tend to push the most dreaded tasks back. By the time Wednesday comes around, you realise you have to get it done but time is quickly running out. Instead, get these tasks done as early in the week as possible. This way, you won’t be spending the rest of the week worrying about it and can have a stress free "Hump Day". Hit the gym before or after work on a Wednesday. With flexible working, you could even fit in a gym class or workout during your long lunch break. This will make you feel better and give you more energy so it is worth doing. Plus, you will have burned some calories so don’t feel guilty about grabbing a little hump day snack to keep you going. Don't think of Wednesday as being a negative day. Instead, be positive and treat it just like any other day of the week. If you dread "Hump Day" then it becomes a weekly thing, as another Wednesday will come around and you will be faced with the same problem. If you learn to utilise your time efficiently, follow our tips and find the motivation to continue working, you will fly through "Hump Day". Keep up to date with Softworks by following us on Facebook, Twitter, LinkedIn and Pinterest. Increased profits and job satisfaction. Reduced absenteeism. Productive, happier employees. What’s not to like about flexible working? Employees are increasingly concerned about achieving a healthy work-life balance and organisations which offer flexibility often find increased levels of satisfaction among their employees. Flexible working can allow employees to adapt their ways of working to best suit their needs, while still being dedicated to their careers. According to a survey conducted by recruiting firm Ranstad, Canadians want more flexibility in the workplace. 70,000 Canadians were polled with nearly two-thirds (64%) stating they would like to work remotely at least occasionally. Overall, 44% of Canadians are not satisfied with their work schedule, ranking 10th out of 25 countries surveyed. Between May 16 and June 30, 2016, the Government of Canada will be consulting with Canadians on how to help regulated employees better manage work and family and other personal responsibilities. This can be done by introducing flexible work, such as flexible start and finish times can help employees balance these often competing responsibilities. The Canadian Government has pledged to allow workers in federally regulated sectors to formally request flexible working from their employees. Therefore, the Government are currently consulting with Canadians to explore which flexible working arrangements would help them to best manage the demands of personal and family responsibilities. According to a survey by Vodafone, Flexible: friend or foe?, 75% of organisations globally have now introduced flexible working polices. 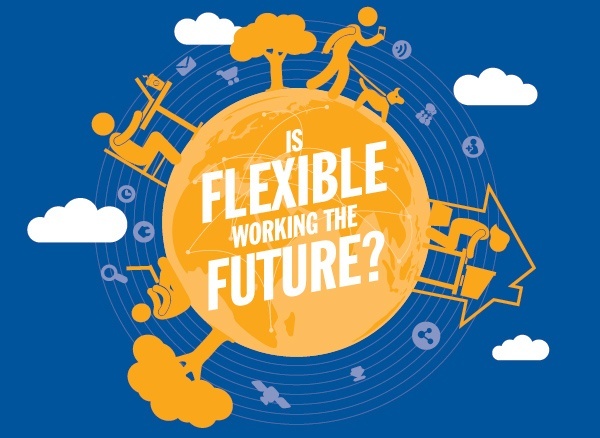 The survey polled 8,000 employees and employers in 10 countries and found that respondents believed their performance had increased as a result of introducing flexible working in to their organisation. Some other interesting figures collected from the survey highlight the positive effects of flexible working. 61% stated their organisations profits increased, 83% reported an improvement in productivity, and 58% believe flexible working has had a positive impact on the organisation’s reputation. It is evident from the results of both surveys that there is an increased demand for flexible working globally, especially in Canada. If you are interested in learning more about Softworks flexible working or any of our many other systems, talk to Softworks today, with over 25 years’ experience, we have a great story to share! Download our free white paper: How to Strategically Use Flexible Working Arrangements to Benefit your Business. Many of you may not know that today is International Day of Yoga. Yoga is a physical, mental, and spiritual practice that originated in India. This is only the second year and we think it is an excellent way to promote a healthy work-life balance. 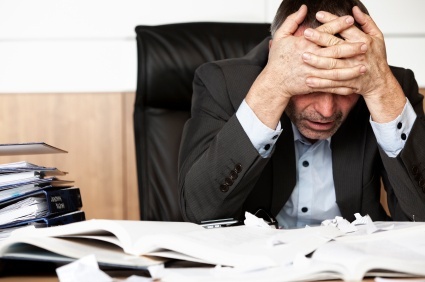 Stress in the workplace today is a major concern for employees and employers. Less stressed employees will become more productive and less likely to require time off due to illness. Having programs such as yoga on company grounds can help employees reduce stress and improve their productivity. Professionals have a lot of demands and allocating time for yoga would rarely fit in to the busy schedules. But what if you were able to enjoy and release stress by taking part in yoga, with thanks to flexible working. It will give you the freedom to enjoy a yoga class in the morning before work, during your extended lunch break, or leave work before rush hour and fit a class in. Offering employees’ yoga at work can be made easy, with flexible working. You could take a long break once a month and schedule a yoga class along with a healthy lunch to follow. This will help promote a healthy work-life balance. Will you be enjoying the benefits of yoga today? Check out our other relevant blogs: A Healthy Workplace is a Happy Workplace, Top Tips for a Happier Workplace and Top Five Countries for Work-life Balance. Why not download our free white paper to find out more about flexible working: How to Strategically Use Flexible Working Arrangements to Benefit your Business. National Leave Work Early Day – Will You Be Taking Part? Who doesn’t dream of leaving the office early, especially with the glorious weather Ireland has been having lately. Observed each year on June 2, National Leave Work Early Day is an unofficial national holiday, which was created in 2004 by Employee Productivity Specialist, Laura Stack, who became concerned that employees in the US worked 49 hours a week on average. 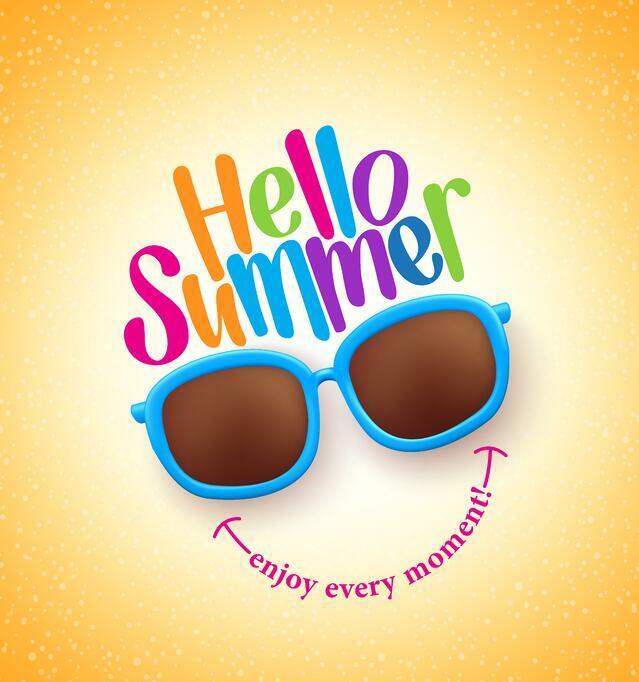 On this day, upon completion of all the necessary days’ work and the approval from your manager, it is suggested that you can leave work early to enjoy the rest of your day and enjoy the sunshine or do some fun activities of your choosing. So, today is your lucky day! But what if you could be this lucky every day and leave work before 5pm? With flexible working, this dream can become a reality. The current working arrangement in Softworks gives me the best of both worlds, doing a job I love and having the flexibility to start work between 8-10am and finish between 4:30-6:30pm. Having the right work-life balance is increasingly important these days with more and more people finding that their working day is getting longer as businesses struggle to keep up with the demand for 24 hour services. Flexible working can help lead to a healthy work-life balance. The term work-life balance refers to a healthy balance between work and other aspects of our lives. 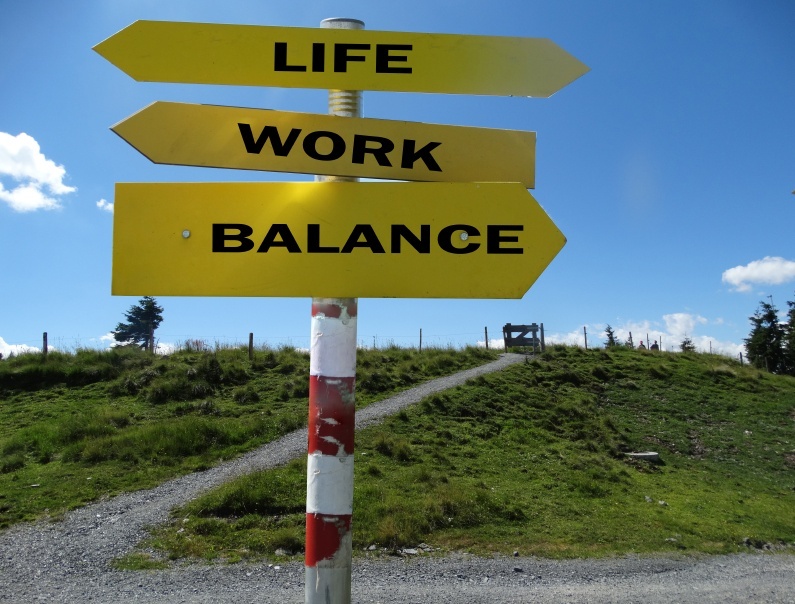 Proactive work-life balance measures benefit not only for employee, but also employees. A poor balance between work commitments and their other responsibilities can lead to stress, high absence and low productivity. Flexible work schedules help spur the productivity of employees. Improved job satisfaction, morale, and productivity. Increased energy and creativity and reduced levels of stress. Improved balance of work and family life. So what are you waiting for? Contact us today for a free demo and find out how Softworks flexible working can benefit your employees and organisation. Will you be leaving work early today to mark National Leave Work Early Day? Download our free guide: How to Strategically Use Flexible Working Arrangements to Benefit your Business. Did you know today is Flexible Working Awareness Day? It is a day to reward and recognise the companies who showcase how flexible working works’ and its many advantages. Flexible working, or flexi time is an alternative to the traditional 9 to 5 work week. It allows employees to vary their arrival and/or departure times. Flexible working has grown significantly in recent times, thanks to the development of cloud computing and improved connectivity. 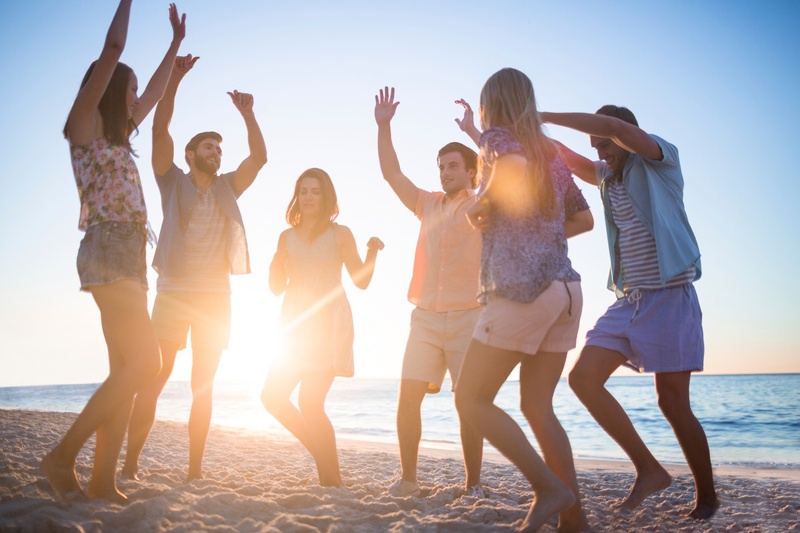 Employees are increasingly concerned about work-life balance and organisations which offer flexi time can often find increased levels of satisfaction among employees. Flexible working can allow employees the ability to adapt their ways of working to best suit their needs, while still being fully committed to their careers. At Softworks, we love flexible working and with it being Flexible Working Awareness Day, we wanted to share the benefits with you. Flexibility to meet family needs, personal obligations, and life responsibilities conveniently. If you have a flexible work schedule, you can go to a parent-teacher conference during the day, take a yoga class during your extended lunch break or be home before the rush hour traffic. Avoiding traffic and the stress of commuting during rush hours. You would be amazed at how much faster a commute can be if you have to be in the office at 10:00am instead of 8:00am. Improved work-life balance which can lead to improvements in health and wellbeing. Reduced stress and fatigue which leads to healthier and happier employees. Increased job satisfaction and staff morale. Flexible working is a very positive choice that needs to be embraced by more organisations. It doesn’t only provide employees with job satisfaction, better health, increased work-life balance, and less stress, it also benefits employers. With higher productivity levels, less turn over, and reduced absenteeism, employers will be able to retain qualified employees and also save money. Softworks flexible working can assist you to easily manage flexible working hours and family friendly policies, which will in turn assist you to attract, retain and motivate a talented workforce. If you want to find out more, request a free demo today.